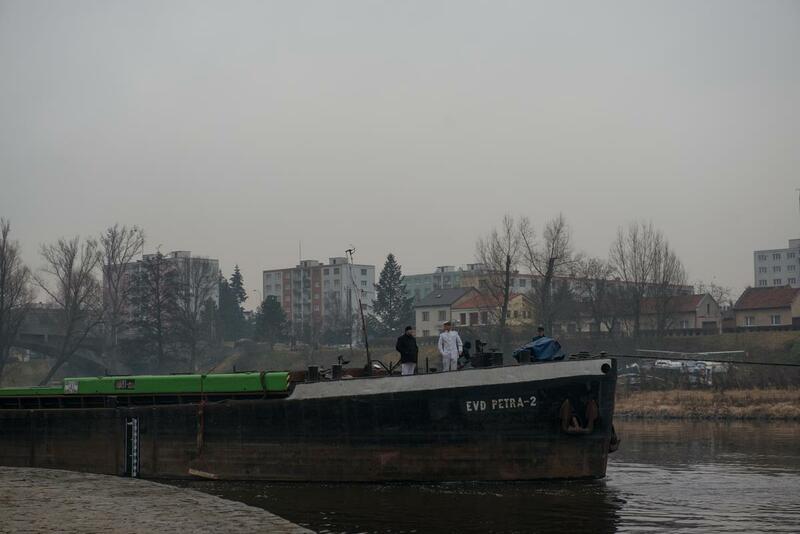 On Wednesday afternoon Prague Steamboat Company organized a unique spectacle for everyone who was at that time near the railway bridge at Výtoň. 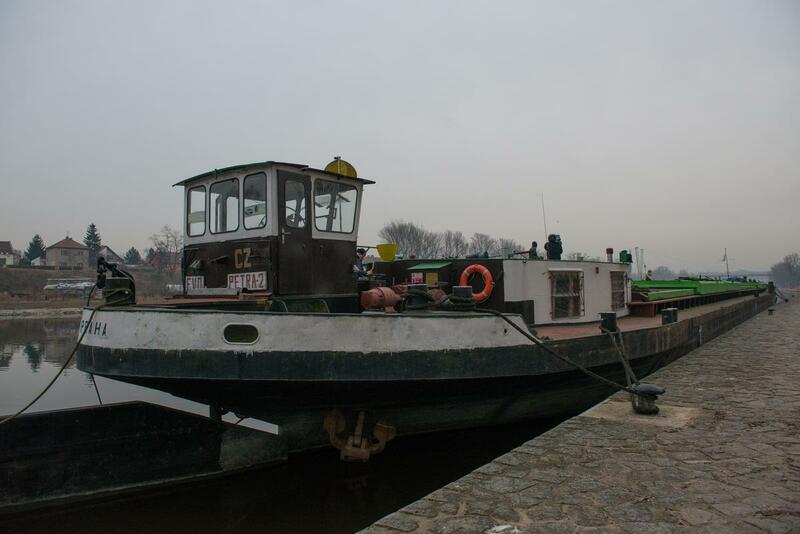 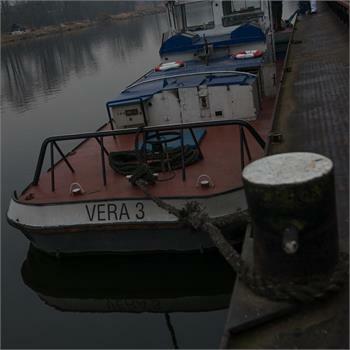 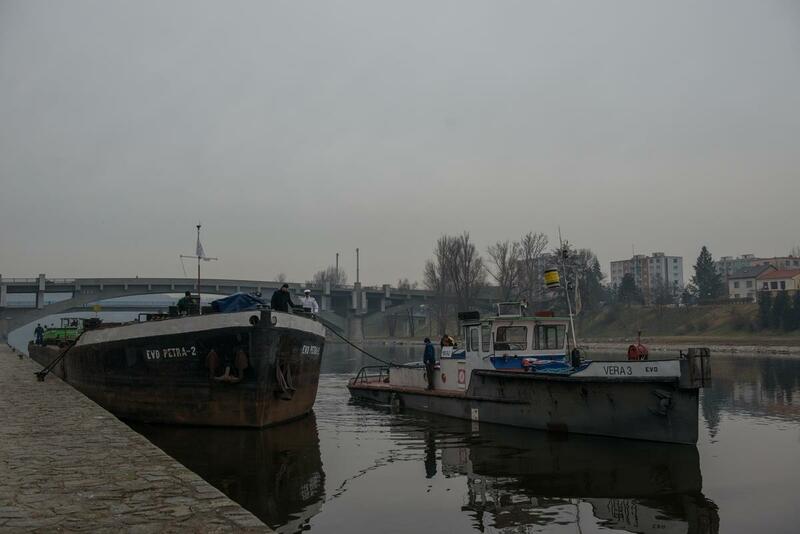 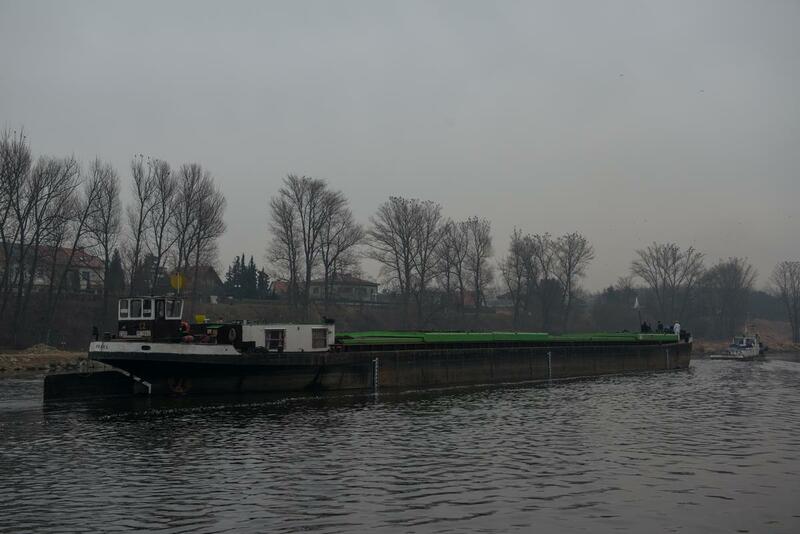 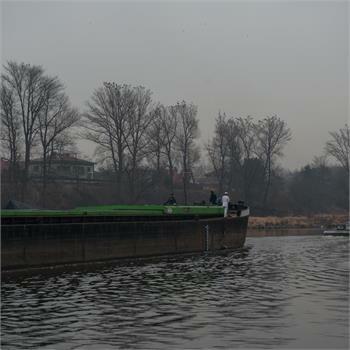 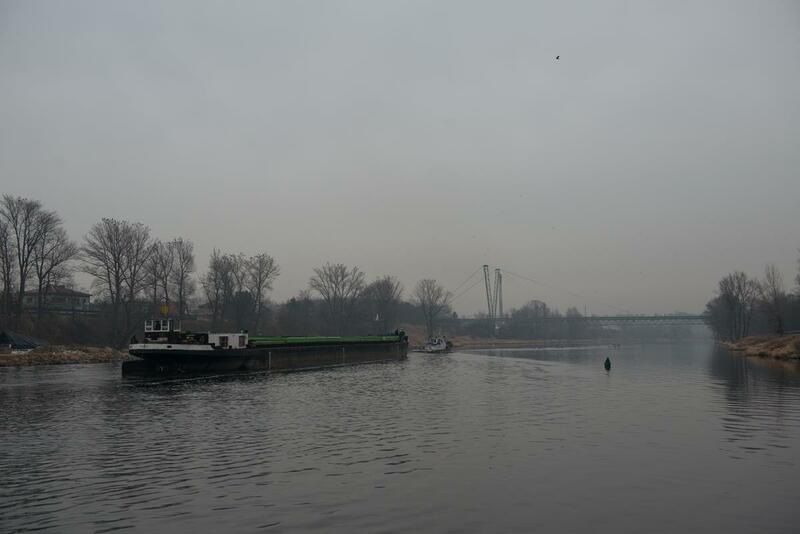 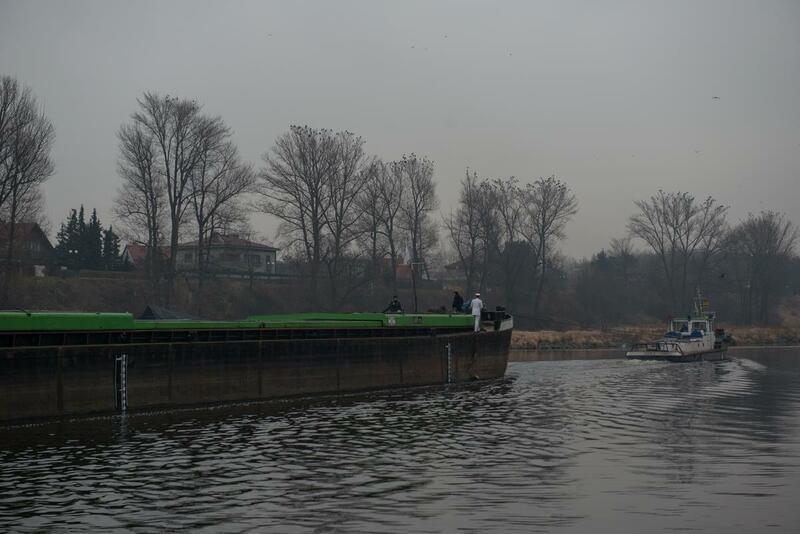 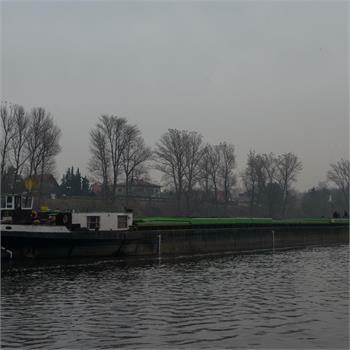 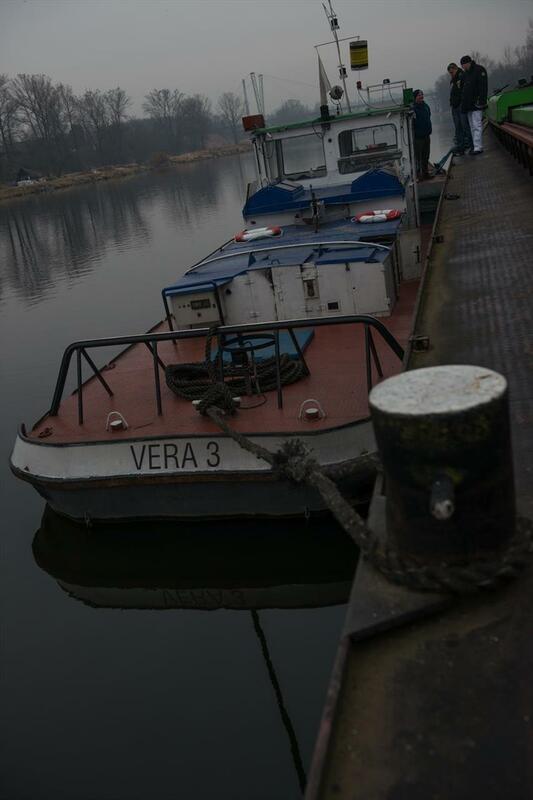 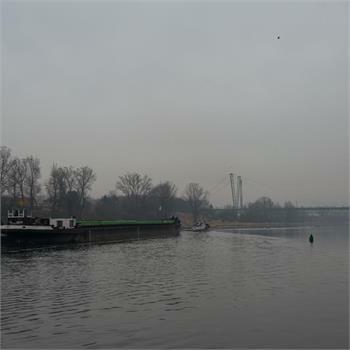 The huge tow-boat docked there after a seven hour cruise from Kralupy nad Vltavou. 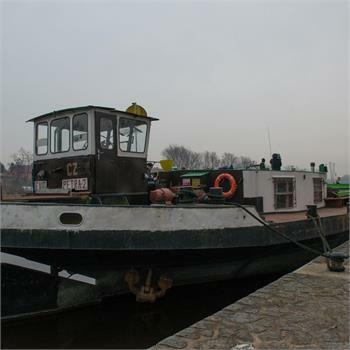 This literally historical method of tow-boat was finished by a demanding maneuver, which is stopping the boat. 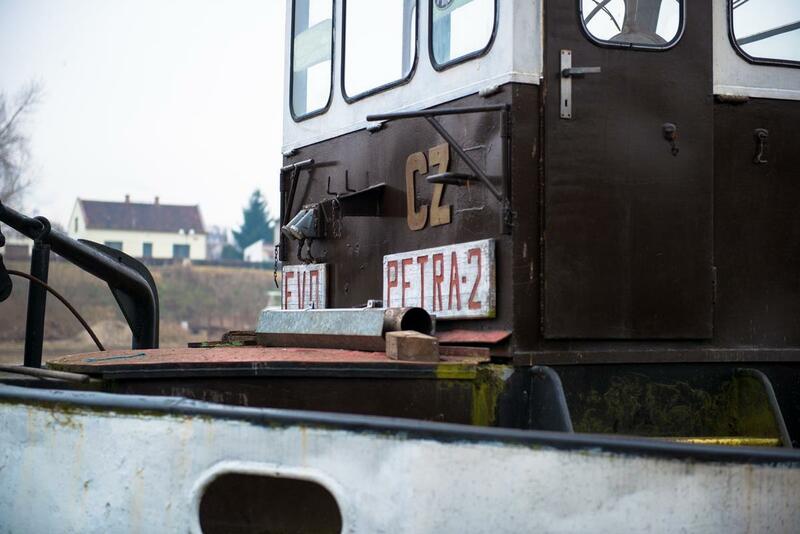 The tow-boat is the 55 year old freighter Petra, which was previously used to transport malt to breweries in Western Europe. 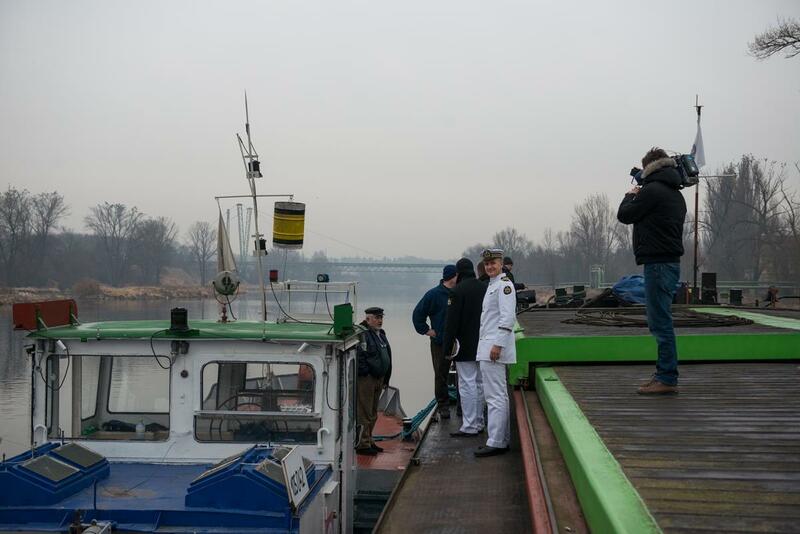 Back again it hauled tea, coffee and cocoa beansmainly for the company Orion in Modřany. 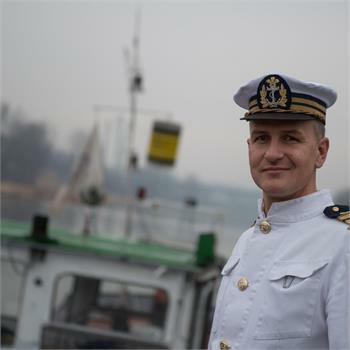 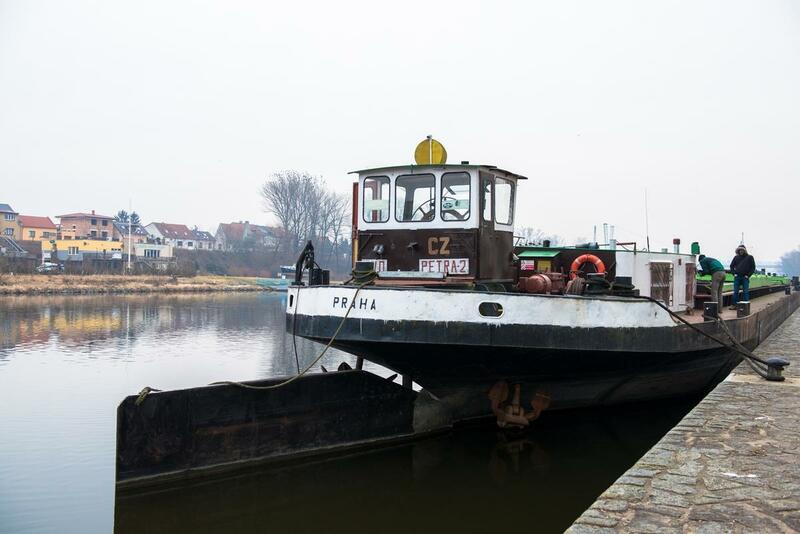 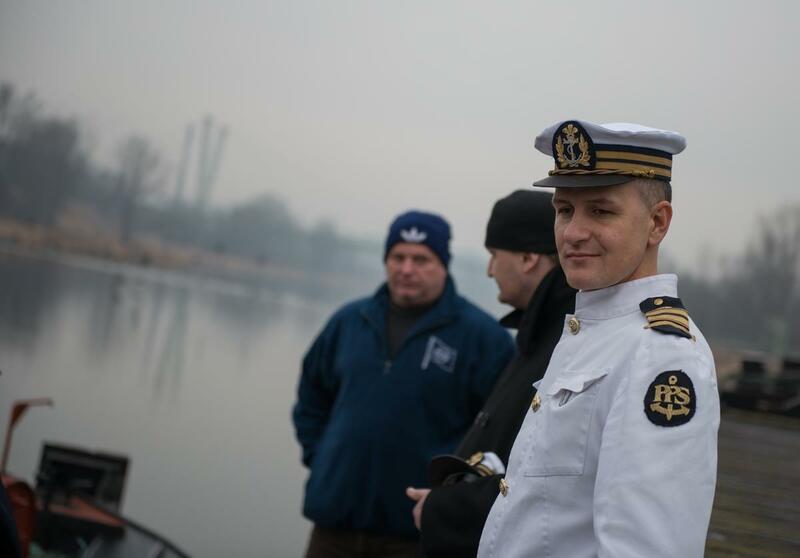 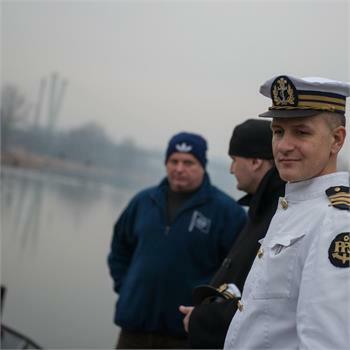 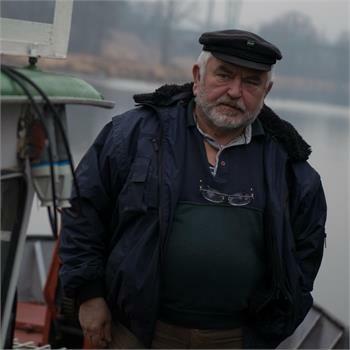 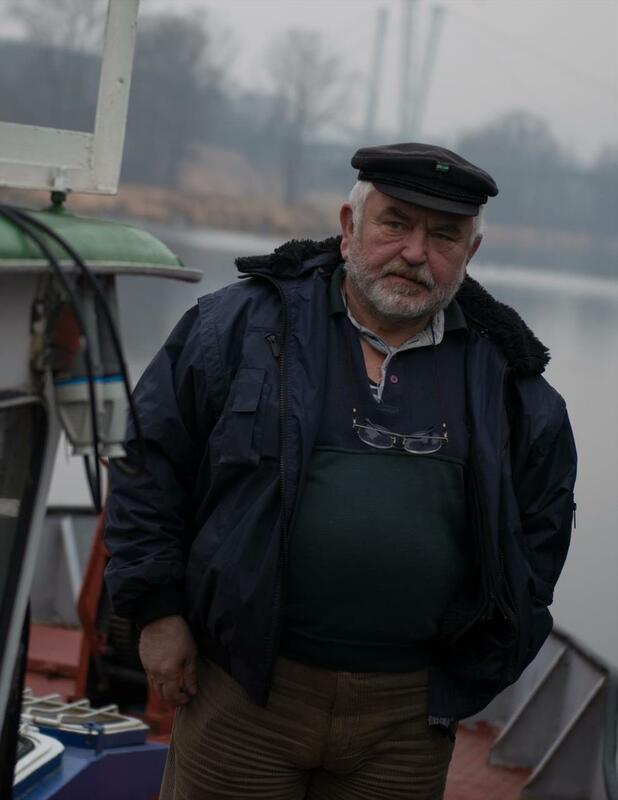 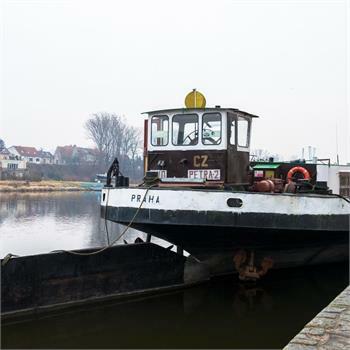 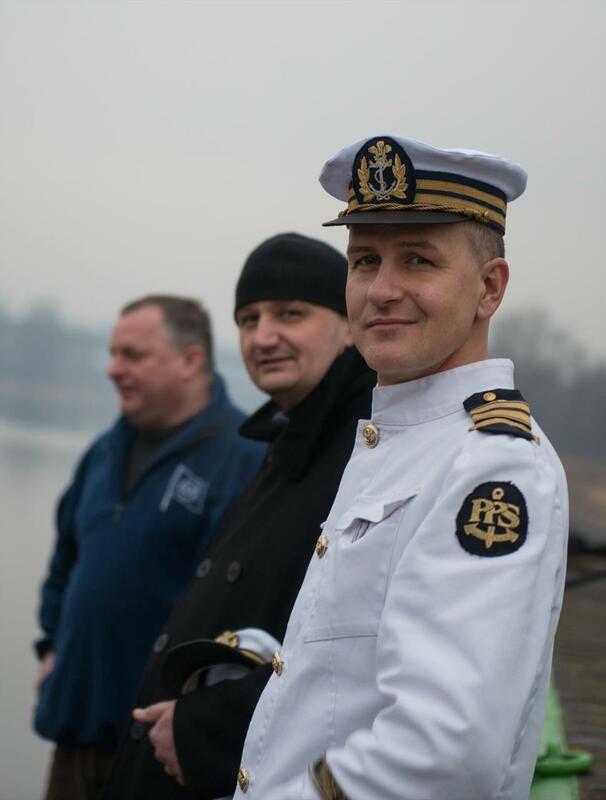 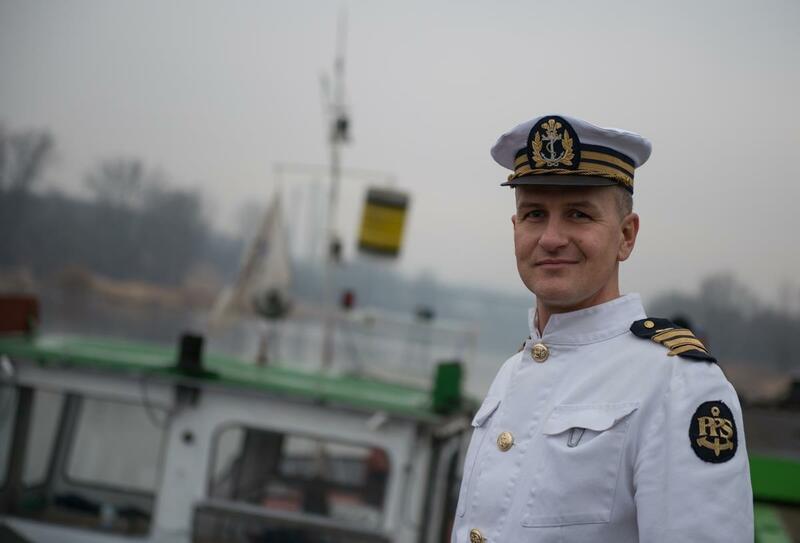 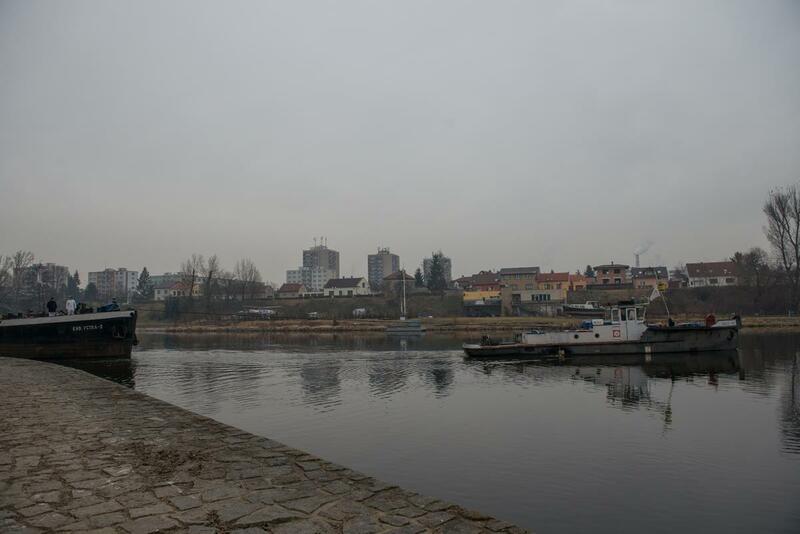 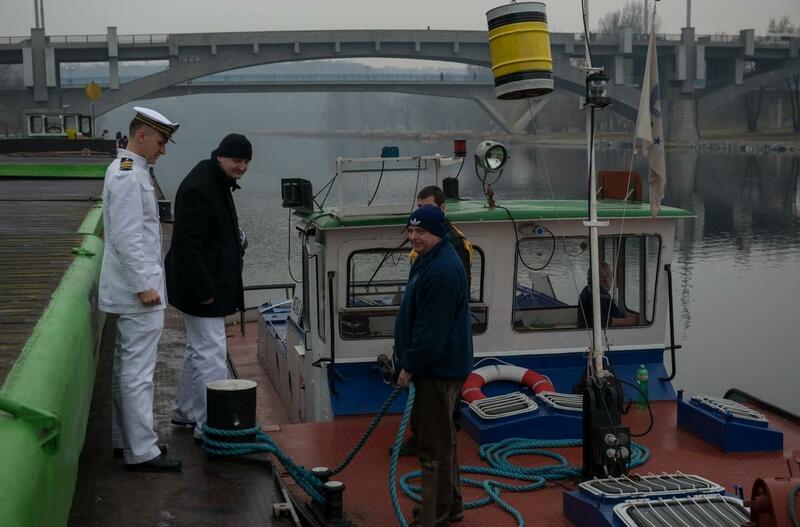 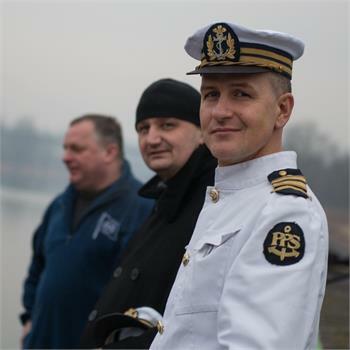 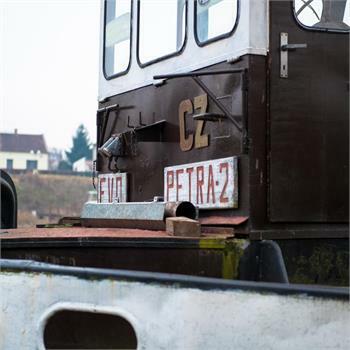 Executive Director of the Prague Steamboat Company in an interview with the Czech television reported that the company has big plans for the ship. 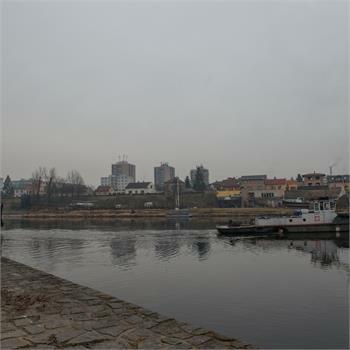 Its upper deck is intended to be made available to a farmer market on the waterfront and at the bottom part, which will gradually reconstructed, there will be created 3 separate areas. 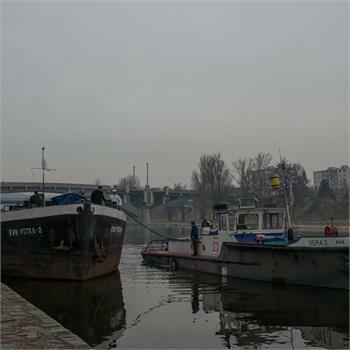 In them will be installed exhibition on roasting coffee and a small cafe, as well as Prague's first floating brewery and in the last part - a venue for various cultural events.